Please kindly note: The footswitch is use only in "A or B" mode. In order to split your signal in an A + B mode, you need to use the small sliding switch that you cannot activate with your foot. 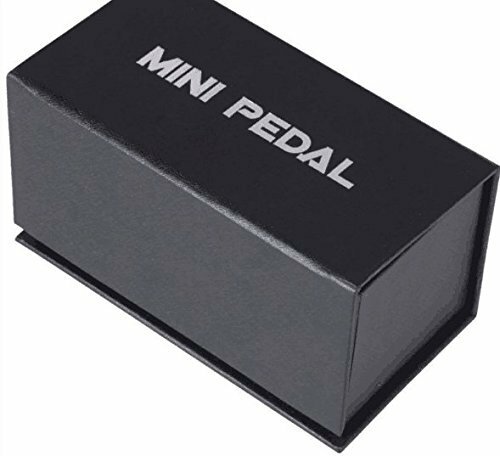 Expand the versatility of your rig, switch between amplifiers or combine two signals with the this ABY pedal. With its distinctly smaller footprint and the full functionality of a full-sized ABY solution, the passive Rowin ABY box offers complete performance flexibility at the performance situation. To help you running your instrument through two amps simultaneously or switching between them easily and quickly. 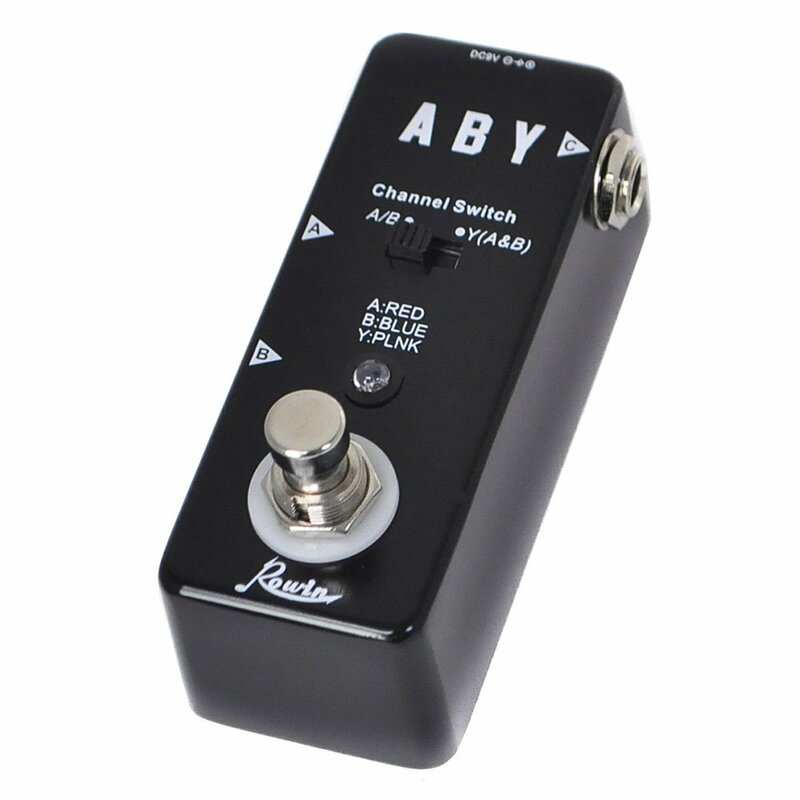 A/B LED: Indicate channel A or B of micro ABY. Channel A corresponding to red LED. Channel B corresponding to green LED. Both A and B corresponding to yellow LED. A Jack: 1/4" mono audio jack for connecting instruments. B Jack: 1/4" mono audio jack for connecting instruments. 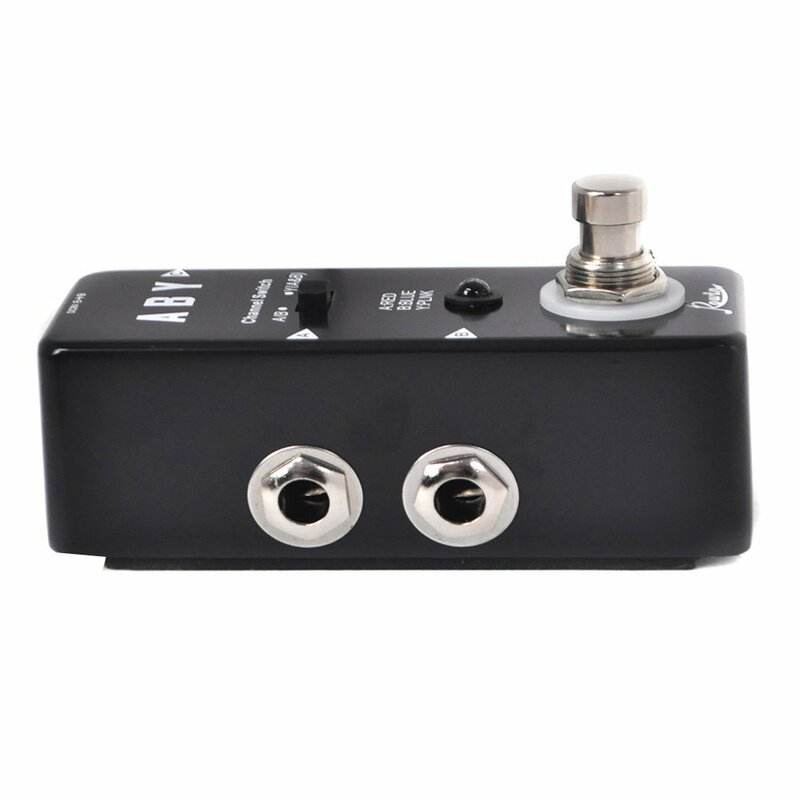 Y Jack: 1/4" mono audio jack for connecting instruments. 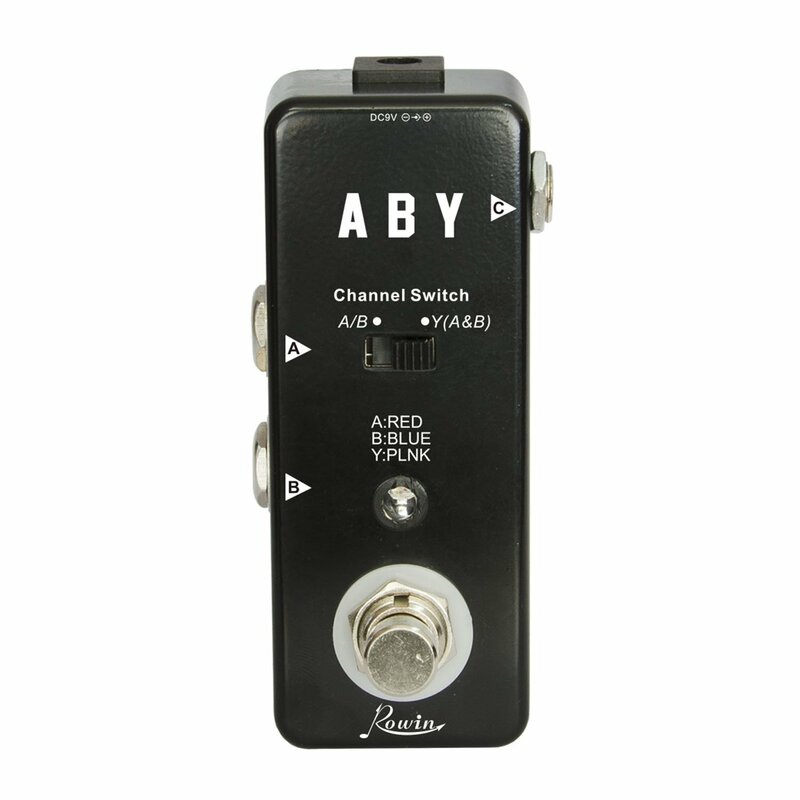 Push down the foot switch to switch between channel A and B.